Are you a leader or a workaholic? “Workaholic,” coined by the American psychologist Wayne Oates, reflected the man’s own addiction to work: he wrote 57 books. Even though he compared workaholism to other addictions, Oates did acknowledge that it’s more respectable than, say, ­alcoholism. Workaholics labor not only compulsively but with little satisfaction. 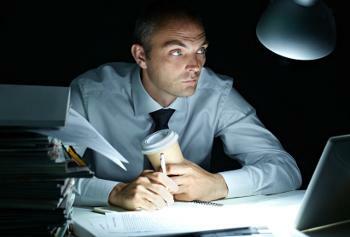 Research associates workaholism with sleep problems, obesity, anxiety, high blood pressure and depression. One in five people with no income call themselves workaholics. And yes, this may be “the best-dressed mental health problem.” Educated and affluent people were much more likely than lower-income people to delay retirement. The Japanese even have a word for working yourself to death: karoshi. — Adapted from “The Work Addiction,” Jordan Weissmann, The Atlantic.